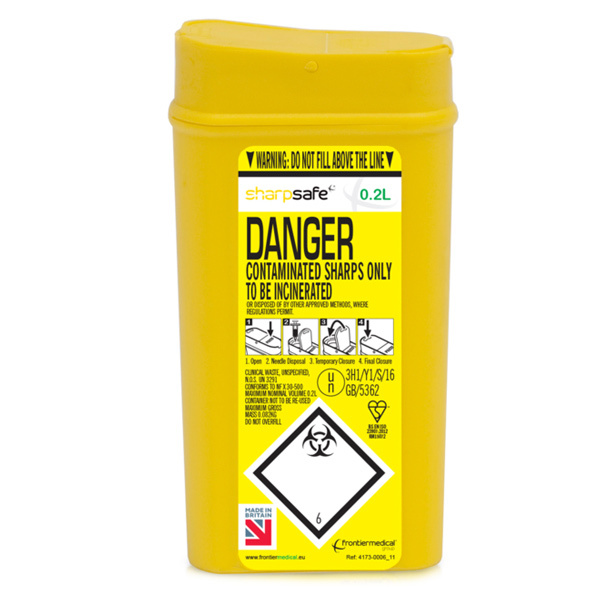 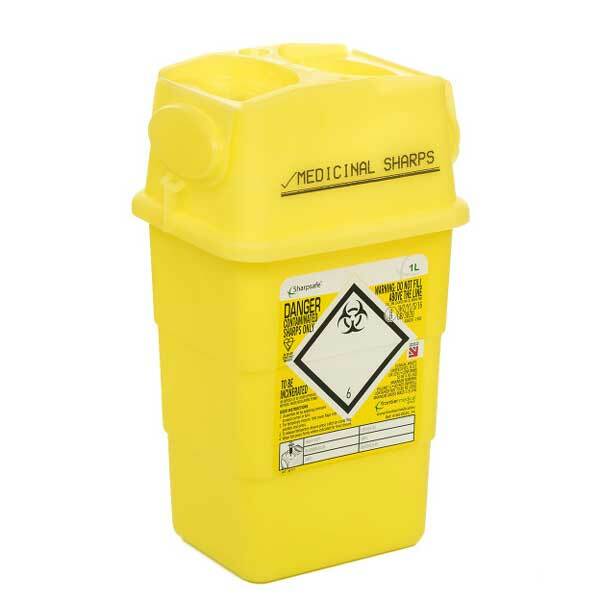 Sharps bins for the disposal of hazardous sharps and contaminated objects, ideally needles and scalpel blades as well as glass shards and other types of blades. 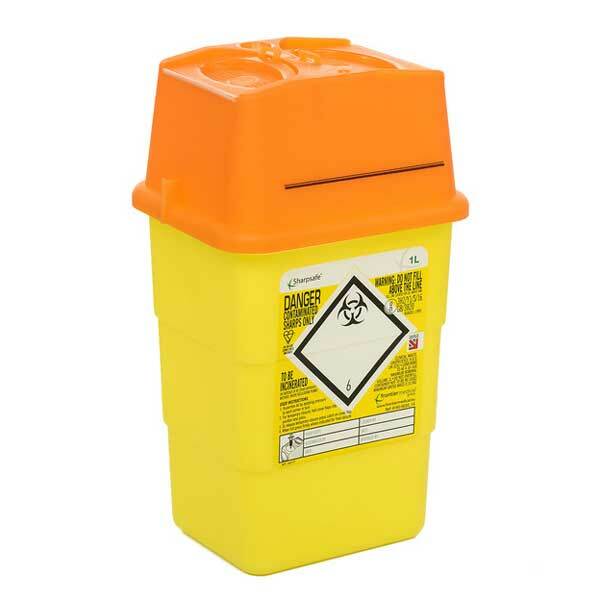 All sharps bins feature a pop-up lid and self-sealing mechanism for added security and convenience and comply with HTM 07-01: Safe Management of Healthcare Waste, and current NHS ‘point of use’ disposal guidelines. 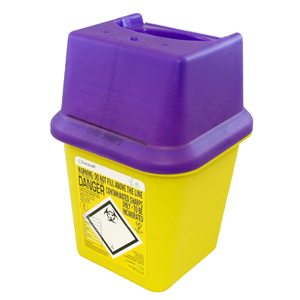 Please note that the litre listed for each bin is the capacity including the lid, however you should only fill the bin to the line indicated on the lid. 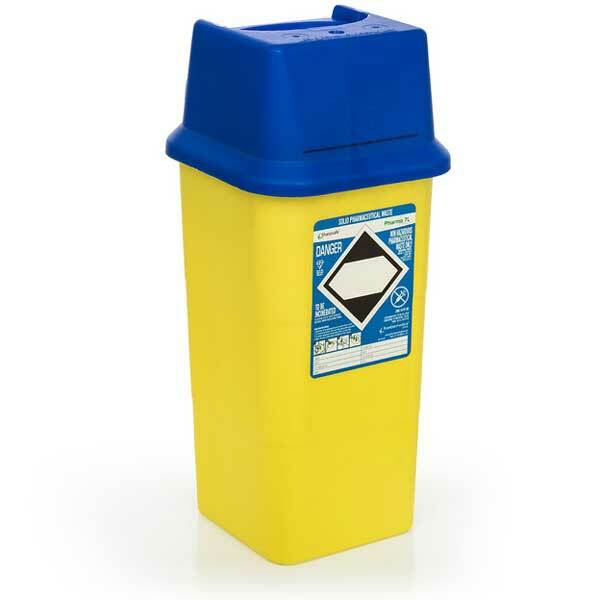 This reduces the overall capacity to 80% of the complete capacity listed.This is to ensure the correct and safe usage of this bin for both user and those collecting it for disposal.